VTech's Pop-a-Balls™ Drop & Pop Ball Pit™ is a Total Hit! With an active little boy, I'm always on the hunt for toys that will not only keep him interested, but help him learn and grow while being able to withstand the kicking and hitting and biting (the struggle is real for most of our toys!). VTech's Pop-a-Balls™ Drop & Pop Ball Pit™ is Zane's newest obsession... and I have a feeling it will remain his favourite toy for quite a while. Pop-a-Balls™ Drop & Pop Ball Pit™ is literally everything my son loves, put into one toy with bright coloured balls that can be easily folded and stored! The ball pit comes equipped with 30 balls and a ball net that lights up, counts and is really interactive. The net counts to 10 as the balls are dunked in, and it also makes animal noises and talks! Zane is having fun, learning to count, learning about animals AND developing his motor skills by trying to get the balls in the hoop and by pushing the levers! Every time the levers are pressed, the activity panel makes different sounds and the balls either go down the slide or into the reservoir at the bottom... and Zane's all time favourite feature? The orange lever in the middle that literally propels the lightweight balls in the air! 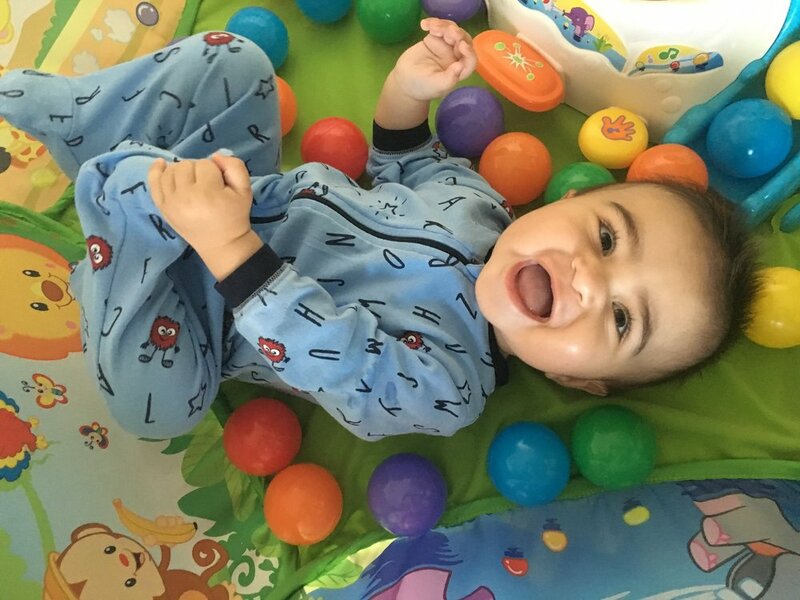 This ball pit makes him scream, laugh and giggle all at the same time, while entertaining him longer than any other toy so far- can I really ask for more? The organized side of me also loves that it can fold up and easily be put away when he's not using it. Our home is already taken over by baby toys so I was so happy to see that Zane's newest obsession was so well thought out by VTech! The balls stay in the centre of the pit and the sides just fold over! You can click here to visit VTech's website and to learn more about this great educational toy!